Chris’s time lapse videos have been viewed over 10 million times on YouTube. The videos allow viewers to see the complete artistic process in just 90 seconds. These compelling videos will encourage your audience to engage with your social media accounts and get new eyes on your brand. The videos are short enough to hold the viewer’s attention and encourage sharing. 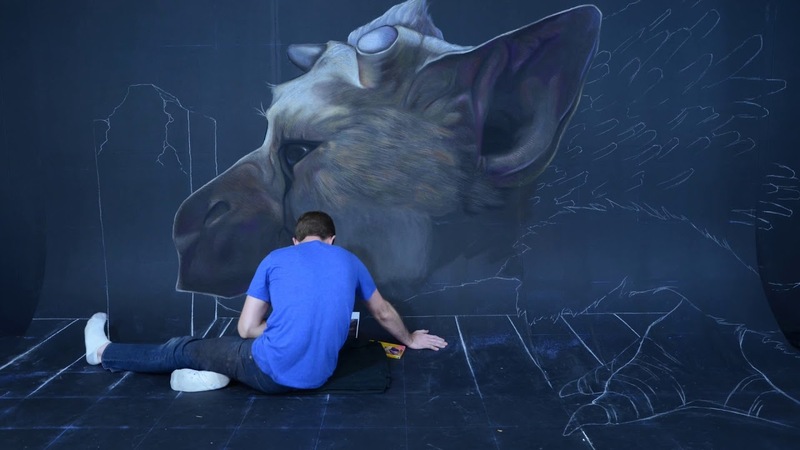 A time lapse video of 3-D chalk art has all the benefits of an amazing finished piece of art, with the added benefit of seeing how it was created. People love to see the different techniques used to create the 3-D illusions. Your target audience will feel more engaged with your brand and your social media pages when you share dynamic content like time lapse art. Chris’s time lapse artwork videos have huge viral potential. Because the videos are short and engaging, people are more likely to share with their friends. This sharing can have a snowball effect that can lead to thousands of new people being exposed to your message. Contact Chris now to learn more about how a 3-D chalk art video can help grow your brand.